Trump’s foreign relations modus operandi have been guided consistently by the argument that US allies are failing to pull their weight and ought to contribute more to the US security architecture. Recruiting Arab allies to replace US troops in Syria and deploying mercenaries (euphemistically called security contractors) are two options that have been actively under consideration at the White House since last year. What’s more, there already exists a significant ally and mercenary presence in Afghanistan and the planned withdrawal of 7,000 US troops from that country will only marginally reduce the Western military footprint. US defense secretary Jim Mattis’s clash of worldviews with Trump is misperceived as a contradiction of views about US objectives, rather than how to achieve them. Mattis favors prosecution of US imperial aims through the significant participation of the US military, while Trump favors pressuring allies to shoulder more of the burden of US-empire maintenance while hiring security contractors to fill in the gaps. Trump’s goal is to reduce the empire’s drain on the US treasury and to secure his voting base, to whom he has promised, as part of his “America First” plan, to bring US troops home. The national security adviser, John Bolton, “called Abbas Kamel, Egypt’s acting intelligence chief, to see if Cairo would contribute to the effort.”  Next Saudi Arabia, Qatar and the United Arab Emirates were “approached with respect to financial support and more broadly to contribute.” Bolton also asked for “Arab nations to send troops.”  The Arab satellites were pressured to “work with the local Kurdish and Arab fighters the U.S. has been supporting” —in other words, to take the baton from the United States. 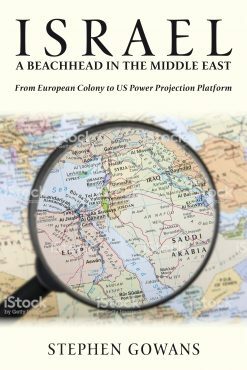 Soon after, Erik Prince, founder of Blackwater USA, the mercenary firm, was “informally contacted by Arab officials about the prospect of building a force in Syria.”  In the summer of 2017, Prince—the brother of US education secretary Betsy DeVos—approached the White House about the possibility of withdrawing US forces from Afghanistan and sending mercenaries to fight in their place. The scheme would see the Persian Gulf oil monarchies pay Prince to field a mercenary force to take over from US troops. The notion, too, that Mattis’s resignation is a rebuke to Trump for abandoning the Kurds, is baseless. The Kurds are not being abandoned. British and French commandos are also present in the country and “are expected to remain in Syria after the American troops leave.”  Mattis appears to have been concerned that by extracting US forces from Syria, Trump is placing the weight of securing US goals more heavily on the British and French, who can hardly be expected to tolerate for long an arrangement whereby they act as Washington’s expeditionary force while US troops stay at home. At some point, they will realize they might be better off outside the US alliance. For Mattis, long concerned with maintaining a “comprehensive system of alliances and partnerships” as the means to “advance an international order that is most conducive to [US] security, prosperity and values,” Trump’s burden-shifting hardly amounts to “treating allies with respect” or “providing effective leadership,” as Mattis said in his resignation letter that Washington ought to do. Trump never intended to bring a radical redefinition of the aims of US foreign policy to the presidency, only a different way of achieving them, one that would take advantage of his self-proclaimed prowess at negotiation. Trump’s negotiation tactics involve nothing more than pressuring others to pick up the tab, which is what he has done here. The French, the British, and other US allies will replace US boots on the ground, along with mercenaries who will be bankrolled by Arab oil monarchies. To be sure, US foreign policy as an instrument for the protection and promotion of US profit-making has always relied on someone else to foot the bill, namely, ordinary Americans, who pay through their taxes and in some cases with their lives and bodies as US soldiers. As wage- and salary-earners they reap none of the benefits of a policy that is shaped by “economic elites and organized groups representing business interests,” as the political scientists Martin Gilens and Benjamin I. Page showed in their 2014 study of over 1,700 US policy issues. Big business, the scholars concluded, “have substantial impacts on government policy, while average citizens and mass-based interest groups have little or no independent influence.”  In other words, big business formulates US foreign policy to its benefit, and gets ordinary Americans to shoulder the cost. That’s the way things ought to be, in the view of Mattis, and other members of the US foreign policy elite. The trouble with Trump, from their perspective, is that he is trying to shift part of the burden that presently weights heavily upon the shoulders of ordinary Americans to the shoulders of ordinary people in the countries who make up the subordinate parts the US empire. And while allies are expected to bear part of the burden, the increased share of the burden Trump wants them to carry is inimical to maintenance of the alliances on which the US empire depends.